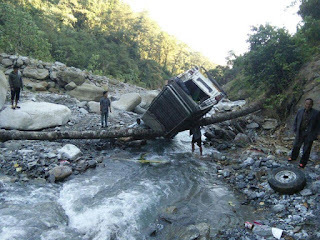 At least three persons died including two minors and nine others from a same family were injured when a Savari Vehicle bearing no WB 76 – 5940 skidded of the road at a spot at Chumung River at Budhaware under Kalimpong Block 1 at around 3 pm . The incident took place around 3 pm when about 15 passengers of the same family along with relatives were returning from Nokdara to Samthar after attending a funeral. The deceased have been identified as Mr Roshan Bhujel (12), Mr Damber Bhujel (12) and Mr Nirmalya Subham Bhujel (20).Meanwhile, Indra Bhujel (24) the driver of the vehicle with head injury was refered to Siliguri for further treatment by the attending doctors. 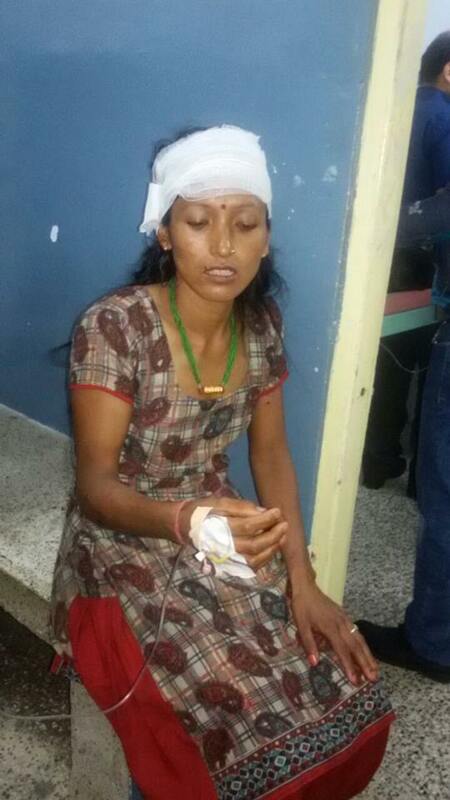 The injured include Digen Giri (6) dealing with leg fracture , Phul Maya Bhujel (30) sustaining head and leg injury, Mr Kharimaya Bhujel (25), three-month old Diya Giri,Chandra Bahadur Bhujel (72), Abinay Bhujel(5), Arpana Bhujel(9) and Ashna Bhujel (4).All the victims are residents of Samthar. After the incident evidently surfaced, locals rushed to the spot , rushed them to nearby Gitabling Primary Health Centre (PHC). One of the victims was confirmed brought dead and the other two succumbed to their injuries subsequently,as learnt.Later, nine victims were referred to Kalimpong Sub Division Hospital. As learnt, the driver of the vehicle was absent after which another driver namely Mr Bhujel was engaged. It is to be noted here that roads near the accident site are narrow and as three passengers came out of the vehicle, it suddenly skidded off the road around 80 ft in the river. The bodies of the deceased have been forwarded to Kalimpong Hospital and team of Kalimpong Police rushed to the spot for investigation. 0 Respones to "ROAD MISHAP KILLS THREE, INJURES NINE IN KALIMPONG"